K to 12 is an organizational and administrative operation to bring Philippine secondary education up to par with the rest of the world. It is the most comprehensive educational reform of secondary education in the Philippines in many decades. It is a necessary reform, but it is not sufficient to lift the quality of Philippine education to international standards, since it does not adequately address the major factors that determine the quality of education: teaching and learning. 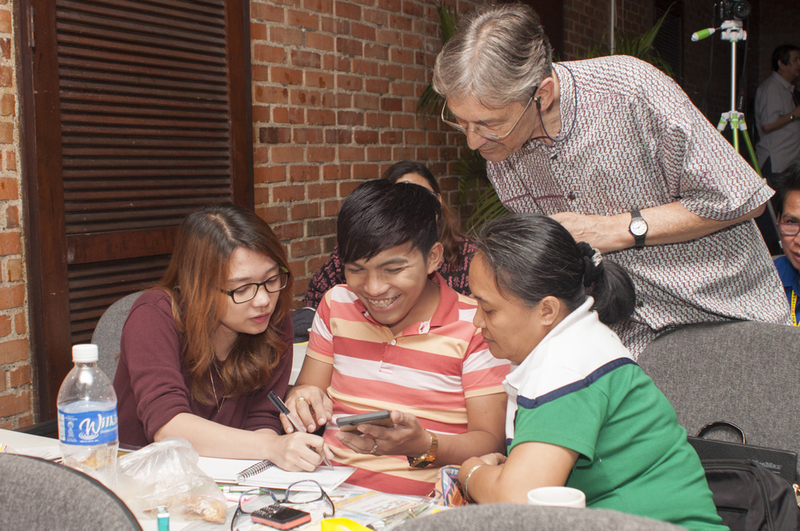 Last October 14, 2015, the Communication Foundation for Asia held “The Challenges of K-12” workshop that aimed to lift the quality of teaching & learning in our schools. Attending the workshop were educators and school administrators from across the Philippines. 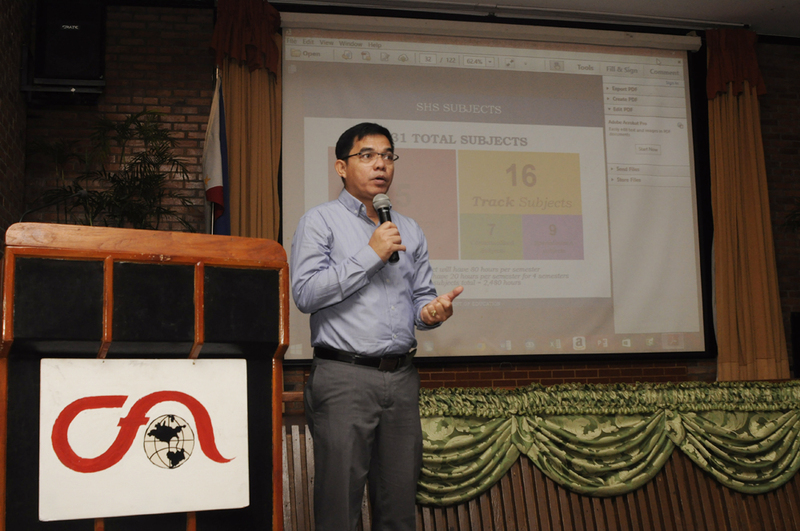 The first resource speaker Dr. Willie Cabral provided the foundation of the workshop. He talked about the experiences of the K-12 program and how they can be properly implemented. 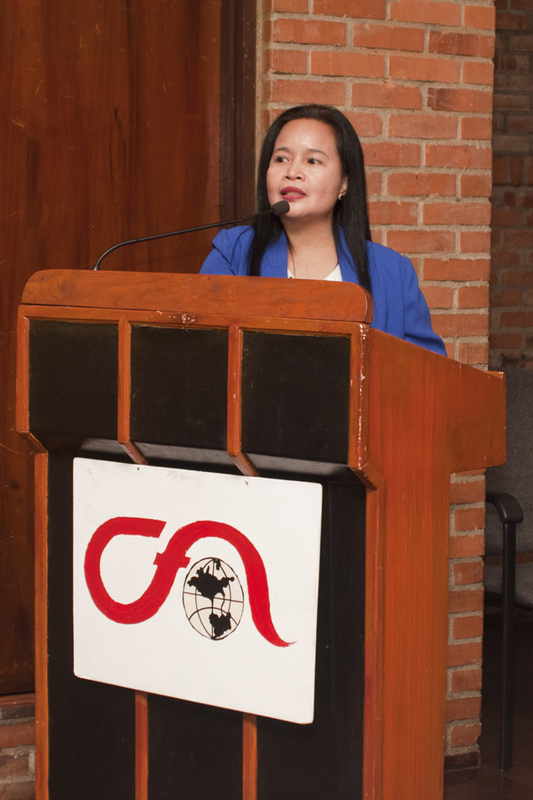 The next speaker Dr. Emerita Reyes shared the ongoing practices of the K-12 program at the University of Makati. She showed examples as to how they were able to properly execute it in the Philippine setting. The workshop lead speaker Mr. Henri “Henk” Ankoné focused his talk on “Effective Learning and Teaching”. He involved each participant through a series of workshops in designing ideal lesson formats for their respective schools. He encouraged innovations to aid them, as they brave the latest education reform. “The Challenges of K-12” workshop will soon be available as a massive open online course (MOOC). Visit these websites cfamedia.org and facebook.com/paglinang for developments of the course. The Challenges of K-12 Workshop’s Registration Still Open! Leading the workshop is Mr. Henri (“Henk”) Ankoné, a consummate educator whose fields of expertise include curriculum development (from the national level to the classroom level), school development, teacher training/coaching, development of teaching resources and skills based teaching and learning. He will also be joined other resource persons. Dr. Emerita Reyes of University of Makati will discuss the measures and guidelines in piloting a K-12 curriculum successfully; and Dr. Willie Cabral, Assistant Regional Director of Department of Education, will tackle the right implementation of the K-12 Program. Resource speaker Henk Ankoné is a consummate educator. His fields of expertise include curriculum development (from the national level to the classroom level), school development, teacher training/coaching, development of teaching resources and skills based teaching and learning. Henk’s fields of interest cover a wide range of subjects, including geography, earth science, environmental studies, sustainable development, and human rights education. He has helped bring about educational innovations and reforms not only in his native Netherlands, but also in neighbor-countries in the European Union, the Russian Federation, Hong Kong, China, the Caribbean and the Philippines. Henk earned master’s degrees in geography (Katholieke Leergangen Polytechnic, Tilburg) and in Civics (Radboud University, Nijmegen) and a diploma in school management (Tilburg Institute of Advanced Studies), all in the Netherlands. To register, or for more info, contact: 713-2981, Ext 182 (Me-Ann) or Ext 503 (Cha). Or E-mail maryannques@gmail.com.